I recently bought an Estée Lauder promotion package. I actually bought it for the Perfectly Clean Foam Cleanser/Purifying Mask, but as I tried all the products in the kit, I do a review on all of them. 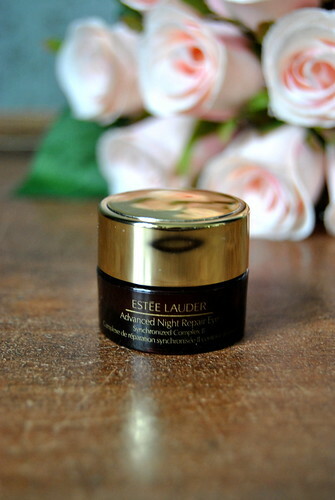 So today you can read all about the Advanced Night Repair, Estée Lauder’s top product in skincare. There is a serum for the face and a gel creme for the more fragile eye-area. I used both products some years ago, but at one point, the price had gone up and I just found it too expensive to keep buying these products to be honest. OK, these products are the cream of the crop… but anyway, I started using other brands, but occasionaly, when I really want to spoil myself, I buy these products again though. This time it was part of a promotion package I bought so I had the opportunity to use it again for a couple of weeks. I cannot do without a serum anymore. Sometimes I am a bit lazy and I just put on daycream and no serum. But if I do this for a couple of days on end, I can really feel it on my skin. It gets dryer and feels less comfortable. So most days I use a serum. Now my skin really absorbs this Estée Lauder Advanced Night Repair. It feels comfortable putting it on and it leaves my skin feeling soft, hydrated and more elastic. 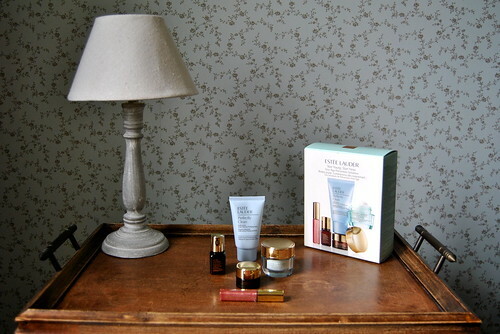 I am really satisfied with both products, but especially the serum for the face is really expensive (98,50 EUR for 50 ml). I must admit that I cannot spend that much money on a skincare product anymore… I would fee a bit guilty I guess! Did you read my review on the Perfectly Clean Foam Cleanser/Purifying Mask? 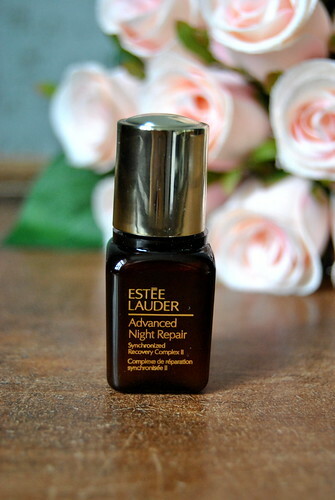 This entry was posted in Beauty, Skincare and tagged advanced night repair, estée lauder. Really wanting to try the Night Repair Eye cream. I’m using the Ginseng cream from Origins but sadly it’s only used under makeup/when awake versus one that repairs my puffy, tired eyes while asleep.